Okay below are are the 3 books on which you can vote this month, all 3 are books I got for review are first book in a series and would count for both Coyer and the 2015 new release challenge. But they are all different genres, one’s a contemporary romance, one a time travel book and the last one is an urban fantasy book. Looking forward to see which book get’s the most votes this month! Thanks voting! I am really looking forward to all 3 of these books, so I am happy to have people help me decide what to read. Thanks! I am really looking forward to all3 of these! Well, I’m most curious about Owl so I gave that one my vote. I am really curious about Owl as well. It sounds like a fun urban fantasy. I voted for Owl as it sounds action packed! Thanks for voting. I agree it sounds action packed. They all sound like good first books. I went with A Moment to Love, for a Valentine’s type read. I agree they all sound interesting :). Thanks for voting! Oh good choices. I have Faye and Charish on my tbr pile. anna (herding cats & burning soup) recently posted…Word from the Herd: Are there just *too* many books? What’s keeping YOU from buying more books? 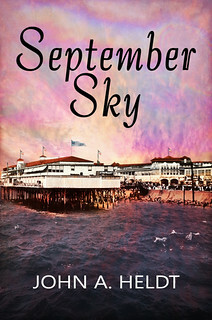 I think I came across one of Faye her books on your blog and was so excited when she sent me a review request for this book! All 3 of these are books I am realy looking forward to! 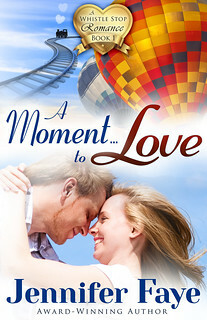 A Moment to love looks like a great fluffy read. I hope you enjoy whichever one wins. It sounds like a good romance indeed and I like the cover. I went with owl, since that’s the one I’d most likely read. Though the others do sound good too! Berls @ Fantasy is More Fun recently posted…Winter 2014-2015 #COYER Update | I promise I’m still here! Owl sounds really good, I read some good reviews of it so far, so I am really looking forward to it. The other two sound good as well though, so I am happy to have you all vote for me because I can’t choose. I’ve voted for Owl, because I’ve seen it everywhere lately and I’m curious to see what you’ll think of it (: It sounds like a really promising start of a new urban fantasy series. I’ve seen it aroudn quite a lot lately as well and it sounds really good so I had to grab my copy. It also was pretty cheap. There are so little new urban fantasy series that have catched my interest lately, so I am happy to have found this one. It’s a long, but catchy title. Stormi recently posted…My TBR List: February ~Let’s Vote! I really want to read it as well, I hope I like it! I just finished another book by that author, so I am curious to his other series as well. I am not a fan of time travel, but the family stuff sounds like a win, and I like how he handled the time travel in his other series. I will eventually read it, even though it might take a while and yeah changes of it winning are low, but it still got some votes! None are my thing, but I went for Owl, as I love Vegas. 🙂 If it weren’t for the vampires (not a fan) it sounds like a book I would like. I love urban fantasy books and don’t mind vampires, so I think I’ll like it! 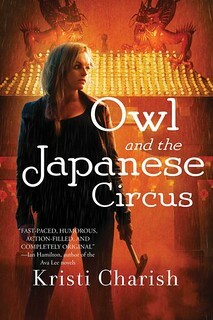 Owl and the Japanese Circus it is on my tbr pile list too! I voted for Owl because I sooo want to read it! I had to skip this month’s My TBR. I just didn’t feel like I could add another book to my schedule. Pathetic, huh? I can’t wait to see which one wins! Oh sad to hear you had to skip this month, but indeed if you don’t feel like you could fit in another book you shouldn’t force yourself to participate. At this point I am pretty sure Owl will win!